The Games of Robert J. Fischer contains every serious traceable game of chess by Bobby Fischer from 1955 until his death in 2008. 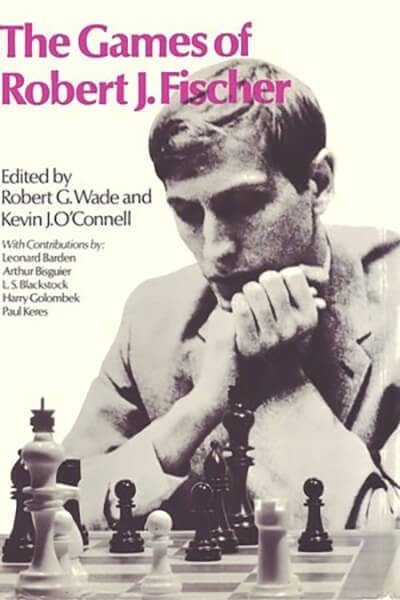 An appendix has been added to the original volume to include, in algebraic notation with diagrams, all 20 games actually played in the epic battle of Bobby Fischer vs. Boris Spassky in 1972 in Reykjavik, Iceland and all 30 games in their return match in Montenegro and Yugoslavia in 1992. Includes numerous game annotations, a complete record of Fischer's tournaments and matches, and special articles by Grandmasters Keres and Bisguier, former British Champions Golombek and Barden and openings expert Blackstock.